Take a look at our competition! 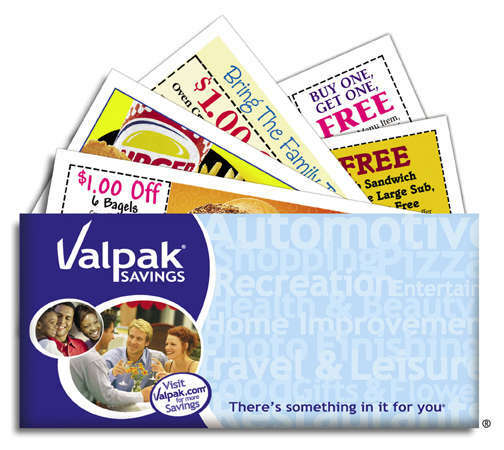 Valpak is also Nation-wide with hundreds of sales reps selling their service. 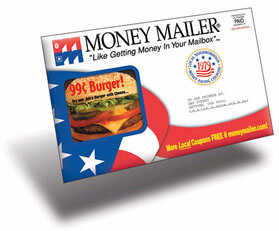 Their service starts at $319 per zone, which is 10,000 mailings. 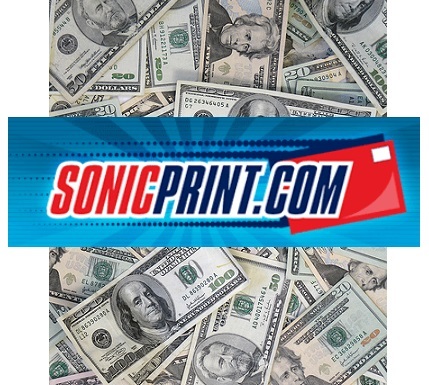 SonicPrint offers an EDDM (Every Door Direct Mail) postcard service that starts at $219 for 1000 postcards. Pretty steep if you ask me. PostcardMania offers a postcard service, with 2500 postcards starting at $289. Mailbox Money is unique, with a message inside for different targeted recipients. We also reward your ad recipients with opportunities to win cash and/or other prizes for viewing and using your ads. 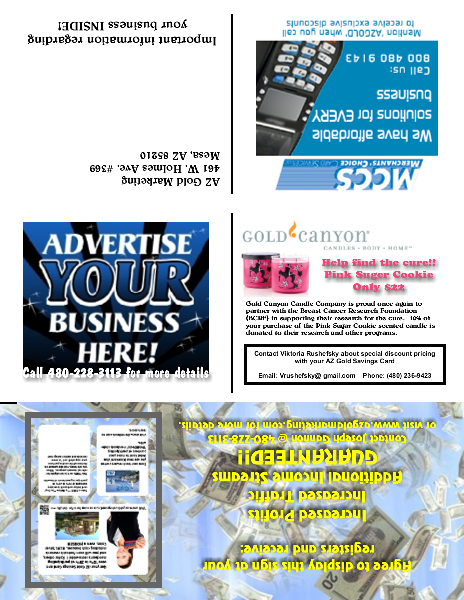 The two examples above show the small business mailer and the residential mailer. There will be 3 other types of mailers that follow the same format: Fundraising, Welcome Letter for new AZ Gold Savings Card users, and an Employee Benefit mailer for larger corporate locations. 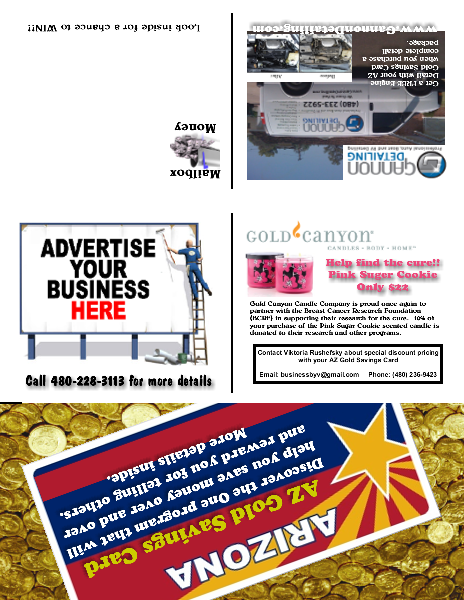 As an AZ Gold Small Biz Co-op member, you can earn FREE ads in our direct mailing campaigns for simply referring your customers to the AZ Gold Savings Card program and offering a repeat discount or incentive in such program.